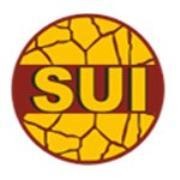 Stone Universe Inc. (SUI) was founded in 1999 as a wholesale stone distributor in California, USA. We are direct importers of Highest quality natural stone products from India, China & Turkey made from limestone, quartzite, slate, sandstone and travertine. We started importing slate and flagstone material in limited and unlimited sizes and excellent quality. In span of 17 years we have become one of the largest importers of natural stone products for your projects. We carry Landscape Pavers in multiple Patterns, Rock Face Patterns, Bullnose, Cobblestone, Column Caps, Driveway Pavers, Flagstone, Ledge Stone, Slab, Steps, Stepping Stone, Thin Veneer, Treads, Wall Caps, Window Sill & we do special order in many different colors and sizes. We distribute our high quality natural stone products all over United States. Unlike cast concrete pavers, our natural stone can be quarried and cut to fulfill special orders for custom projects in many sizes and colors. Our goal is to satisfy your requirements for quality natural stone wherever you need it.